Monday, September 12, 2016 marked the 75th anniversary of the first day of production at the Lake City Army Ammunition Plant (LCAAP). 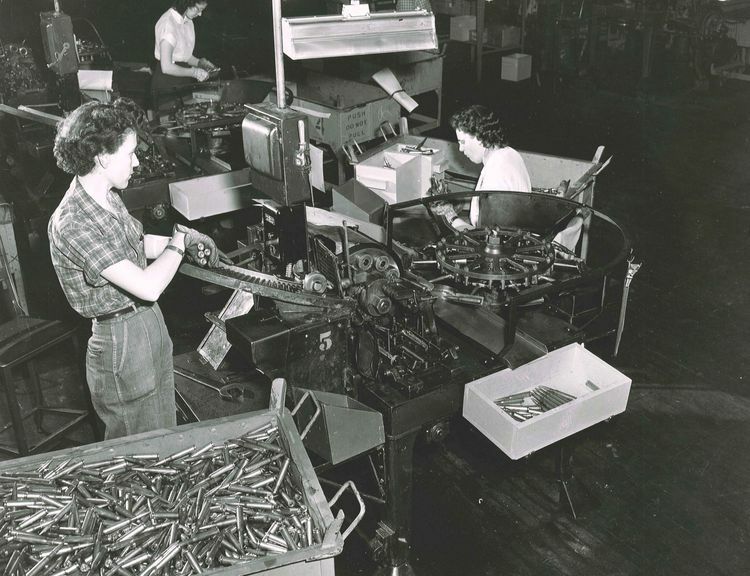 Since that late summer day back in 1941, billions of rounds of ammo have run through this production line in support of the U.S. Armed Forces. Construction of the LCAAP began in December of 1940, and was the first of 12 small caliber ammunition plants to be constructed across the nation in support of World War II. Today, LCAAP is housed on almost 4,000 acres and includes more than 400 buildings, 43 magazines, nine warehouses and more than 700,000 square feet of storage capacity. “For 75 years, LCAAP has played a vital role in the defense of our nation and freedom around the world,” said Small Caliber Systems Vice President and General Manager Kent Holiday. “What we have accomplished here throughout the years is a true testament to the men and women who have worked, and continue to work, here. Employees make ammunition to aid the war effort not long after Lake City opened its doors in 1941. Credit: Joint Munitions Command.